We love to work with companies that have great products and even greater business practices. Gutzy Gear has been a pleasure to work with. Not only did they allow us to do a Gutzy Gear Party and help send the neighborhood kiddos back to school in Gutzy style, they helped fund a huge backpack project through Madame Deals Media that gave kids a great start for back to school! 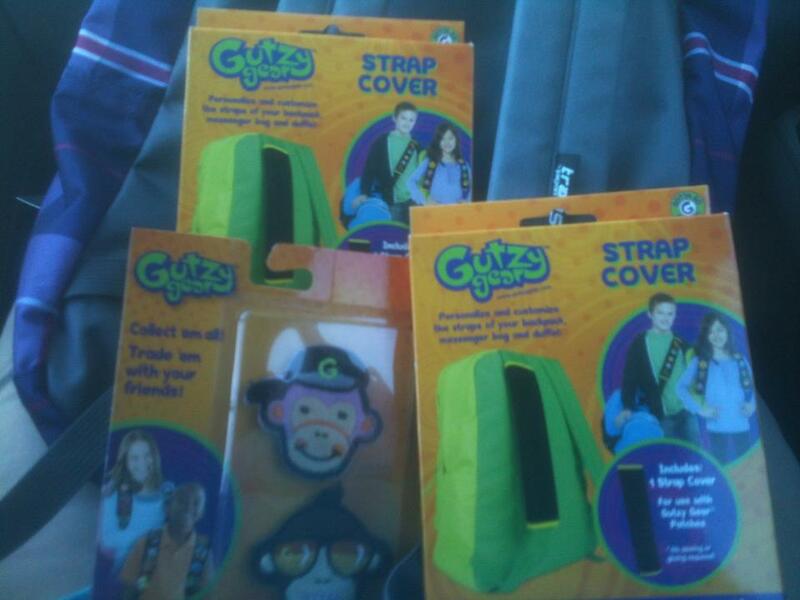 Gutzy Gear provided us with a set of Gutzies and $25 to fill a backpack. It took me some time to decide how to spend our funds and who to donate to. We decided on a family at our church that has been having some rough times. They have 4 girls and 3 of them are in school. One is in Head Start and the other 2 are in early elementary grades. I gave the school teachers a quick call, without revealing why I wanted to know, and asked for a list of things students in their classes may need for back to school. To my surprise the lists were pretty short and the Head Start teacher said the child needed a back pack and no supplies. Since my kids have been out of elementary school for quite some time, I forgot the lists were small. High School lists are long and costly! 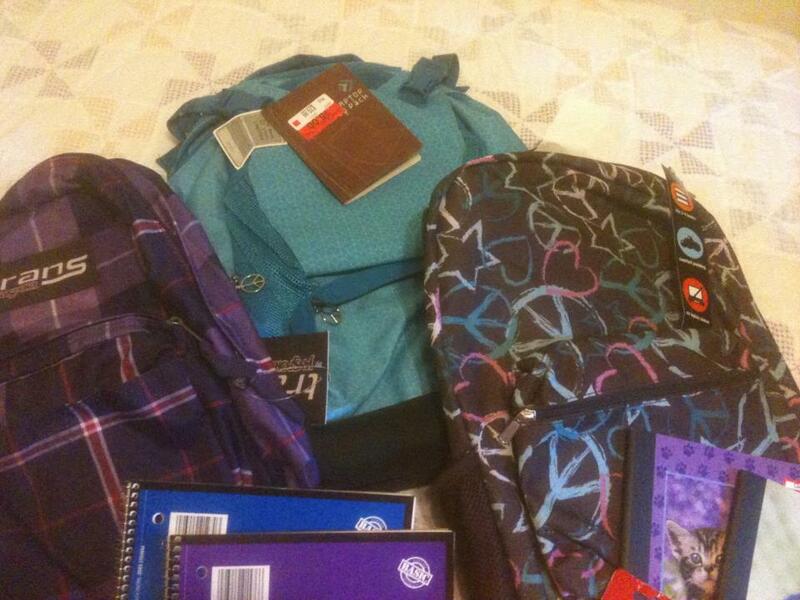 Since the lists were short that allowed us to give all 3 girls a backpack with a few supplies. I planned my shopping around when I new the stores would start to clearance off the backpacks, the most expensive part of this project. 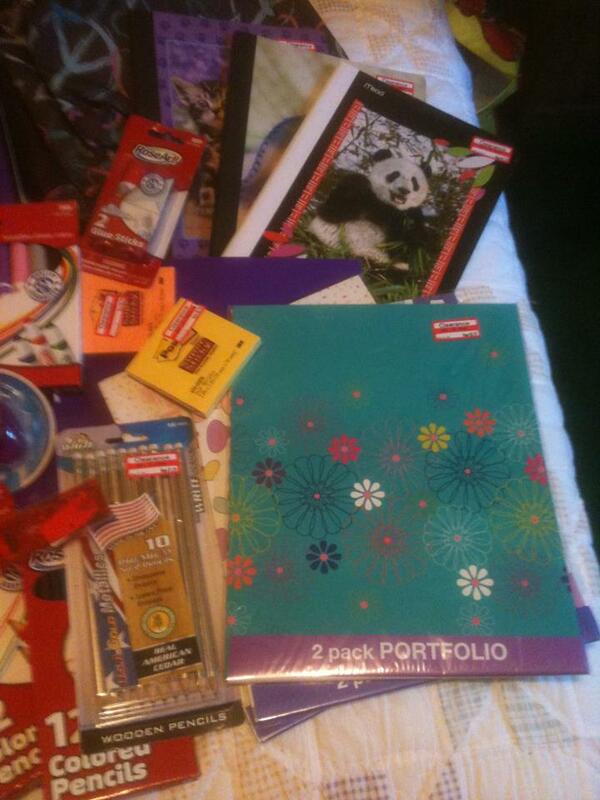 I was able to purchase 3 backpacks and the supplies shown for just under $40 by hitting up the clearance sales. I was more than pleased and the girls were just as pleased. I took their picture, but the parents didn’t want me to share it here. 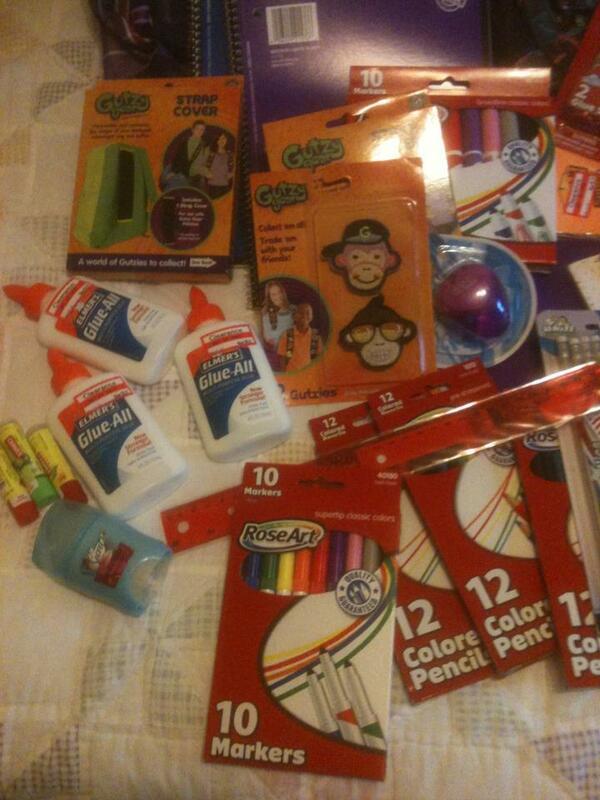 Thanks Gutzy Gear for helping us make a families back to school experience a bit brighter and Gutzy, too! It is such a great idea to pay it forward. You made some great bags! We love Gutzy Gear at our house, and I love this pay it back thing they are partnering with bloggers on. What a great way to give back and Gutzys are so cute! Great shopping! Glad the girls loved their backpacks. These are some wonderful bags! Great job! Most the holiday gifts were from companies that a part of the proceeds went to donation to one charity or another. I love companies that give back and the demand on parents to provide a huge list of supplies that are a particular brand is getting unreasonable so every little bit helps!